The extended arms of M83 appear to show active star-forming regions where they should not exist. 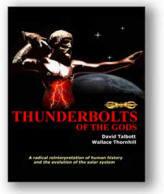 Does this help to confirm the Electric Universe theory? NASA launched the Galaxy Evolution Explorer (GALEX) observation platform on April 28, 2003. Originally planned as a 29-month mission, NASA has since recommended that the mission be extended until the fuel cells are exhausted and no further course adjustments can be made. Recently, NASA announced the discovery of stars bursting into ignition far from the “normally” active regions where conventional science says such events should occur. 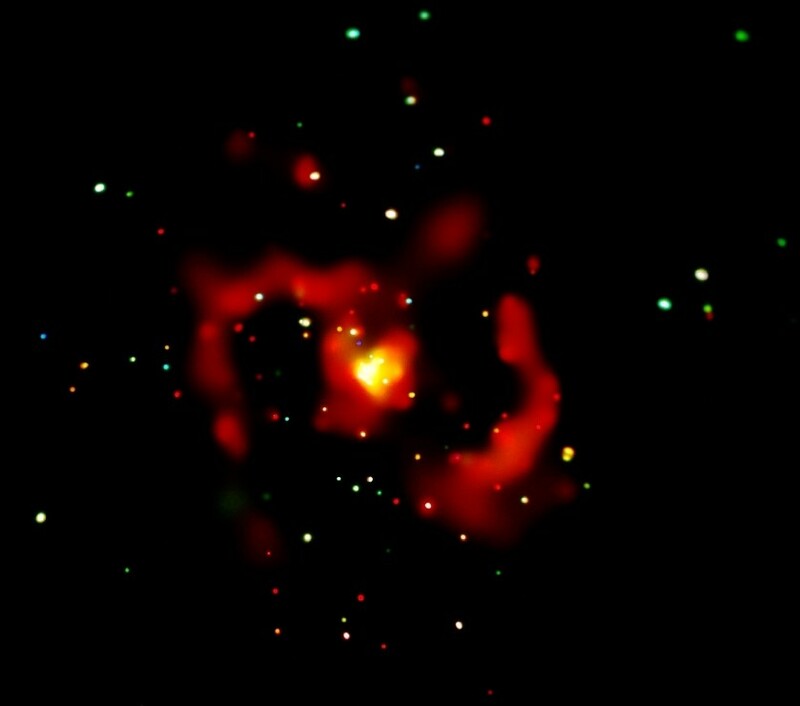 Because stars are said to evolve from collapsing clouds of hydrogen and helium and to derive their energetic emissions from thermonuclear processes, there needs to be concentrations great enough for the stellar nebulae to gravitationally compress the gases until they fuse into heavier elements. 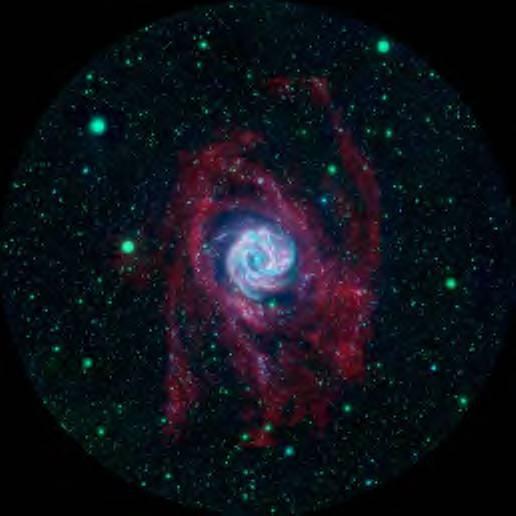 M83 defies that convention because scientists have found that the spiral “arms” of the galaxy – thousands of light-years in extent – exhibit high-energy x-rays and extreme-ultraviolet light that seem to confirm the high temperatures necessary for star-birth. In order to validate their observations, the GALEX mission specialists turned to the Very Large Array (VLA) for help. In the image at the top of the page, the combined shots from GALEX and the VLA show lengthening of the galactic arms beyond what is seen in visible-light. Using other data obtained from the Chandra X-ray Observatory, the arms shine with an intensity that cannot be adequately explained merely through the mechanical compression of molecular hydrogen. In a previous Thunderbolts Picture of the Day, we paid tribute to a pioneer of plasma science, Winston Bostick. Bostick is noted for his work with laboratory-scale plasmoid experiments and the construction of a dense-plasma focus device. One of his major contributions to astrophysics is the controversial hypothesis regarding the way that galaxies mature from initial quasi-stellar (QUASAR) conglomerations of plasma. Bostick saw the universe as a continuous process of current flow through tenuous plasma that forms its substance, so his analysis of galactic behavior is based in electricity. Against a background magnetic field, the current flows in the form of invisible (dark current) cosmic Birkeland current filaments. 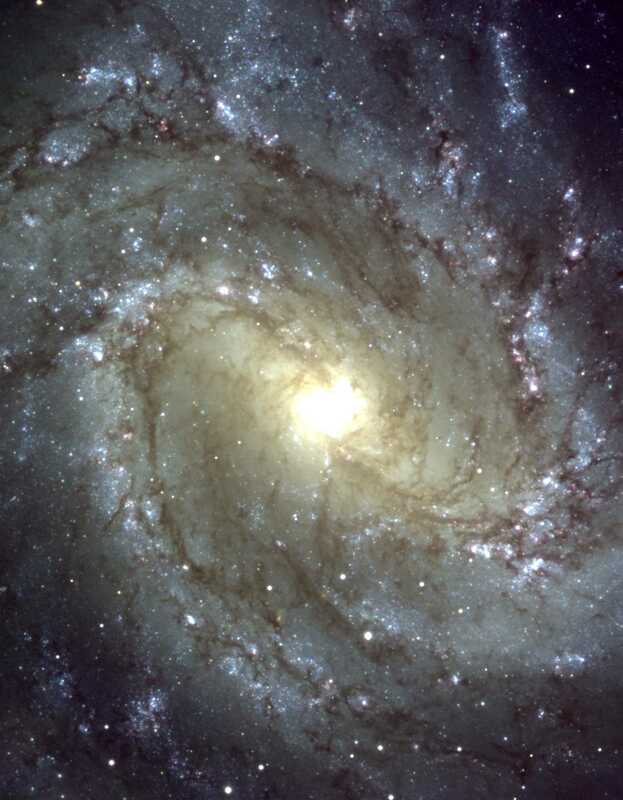 The induced rotation of Birkeland current pairs, where they intersect, is responsible for the formation and rotation of a galactic disc, such as M83, and the production of the characteristic spiral arms. Current flows in from the extra-galactic environment from the edges of the disc where it then twists upward and downward along the rotation axis in response to the generated magnetic field. It then completes its circuit by spiraling back down to the edge of the disc. Birkeland currents enable electricity to move great distances through space in a manner analogous to power transmission lines on Earth. Plasma is compressed within the vortical filaments in long lines extending out from the galactic nucleus - sometimes the "lines" are seen in galactic images as "bars" that spin at right angles to the current flowing out of the central bulge. It is in the most dense current flows where stars form. The stars shine not because of gravitational forces, but because of the electric nature of the universe and the way that moving plasma behaves in a magnetic field.